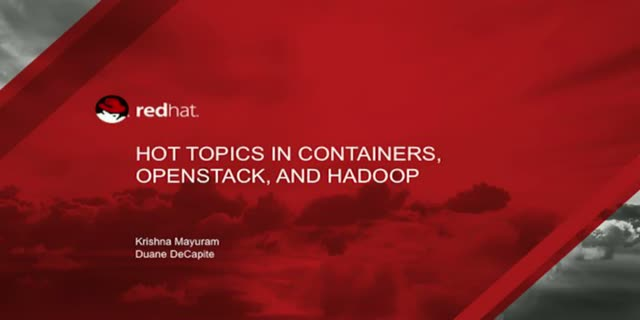 Containers, OpenStack, and Hadoop are three of the most talked about topics in the industry today. This session will highlight some of the hot topics related to the convergence of containers and OpenStack including projects Magnum, Kolla and Calico. Join us and learn about new communities and products including Open Container Initiative (OCI), Cloud Native Computing Foundation (CNCF), Cisco NFVI and Mantl/Shipped. This session will also feature a deep-dive on how Hadoop can be deployed on OpenStack with the Hadoop-as-a-Service (HaaS) Cisco Validated Designs (CVD).